I went out with all the ‘wrong’ boys, chose a degree that my parents really didn’t want me to take, smoked in secret, and I drank like a fish. Oh, and I got two tattoos. My first tattoo (or tattoos?) were on my feet. There was a cool girl at college who had her name tatted on her feet, in massive, black, Times New Roman font. Now, my adult self seeing that now would laugh and make a joke, but 18 year old me though this was the best. idea. ever. 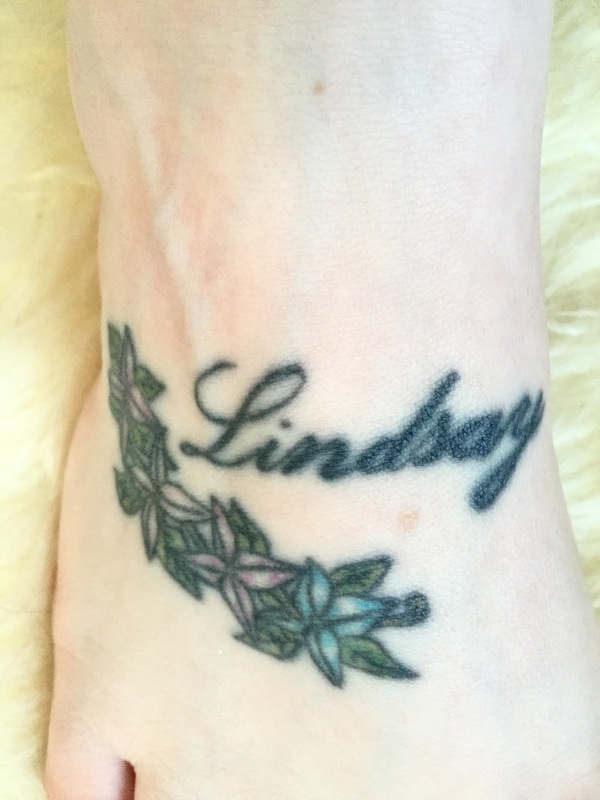 Who tattoos their own name on their feet?! 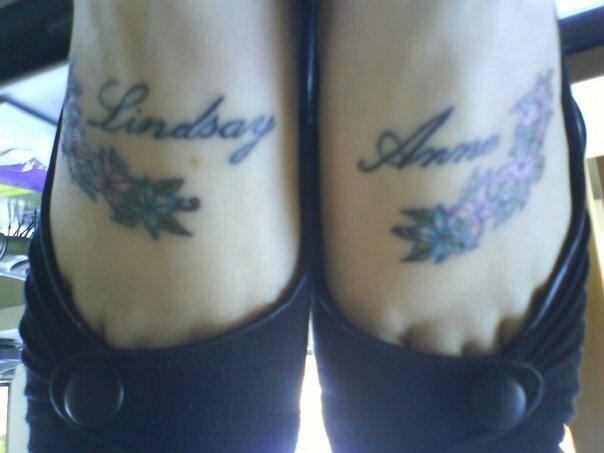 I only hope I don’t loose my right leg, and I’m just stuck with “Anne” on my left foot (Anne is my middle name). I ‘designed’ them myself and took them to the artist I chose in Sunderland. They hurt SO much! I went by myself and could barely walk afterwards. I had a complete loser of a boyfriend at the time too, who obviously thought they were great…. Nearly 10 years on and the lines of the text are spreading and the colours are all starting to merge just a little…ugh. 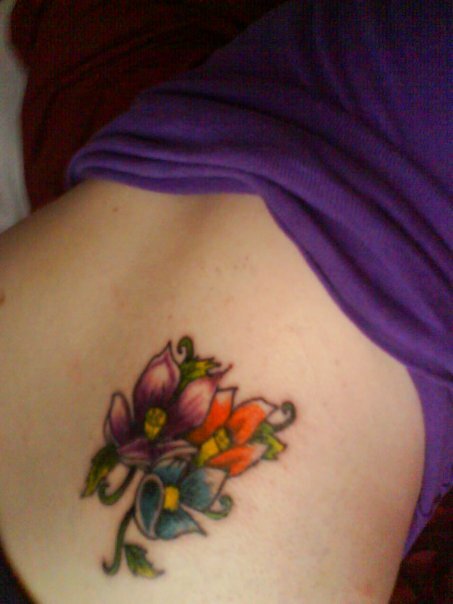 My second tattoo is at the bottom, right-hand side of my back, and was a lot less thought-out than the first experience! I was living with uni friends, and during a trip to the newsagent we decided to de-tour to the tattoo shop. I literally chose a design off the wall and sat down to begin the process within 5 minutes. Personally, this is the one I regret most because it’s so badly done. Although my other one is almost just as ridiculous, I think this one is no where near as well executed – I mean, what are those strange things sticking out from the purple and orange flowers?! Unfortunately, because they are so colourful it would be really hard to remove them fully, but it’s definitely something I want to do in the near future. 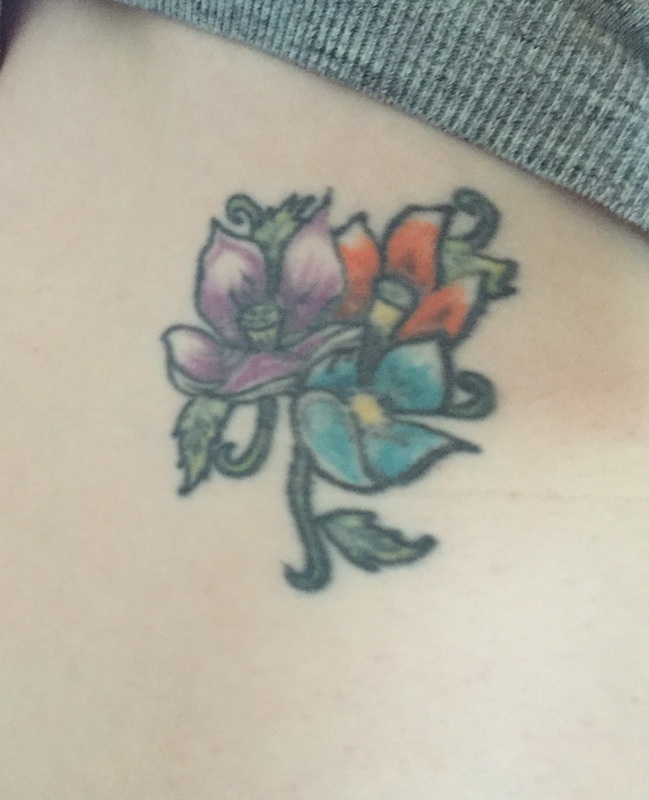 I’d love to hear your tattoo removal stories if anyone would like to share. I’m scared of the pain, but I’m even more scared of being stuck with these things for the rest of my life, ha!